Me me me me me. Me me me me me me me me me me. Me me! Me me me me me me me me me. Me me me me me. Me me me me me me me me me me. Me me! Me me me me me me me me me. Me me me me me. Me me me me me me me me me me. Me me me me me me me. Me me! Me me me me me me me me me. Me me me me me.Me me me me me me me me me me. Me me! Me me me me me me me me me. Me me me me me me me me me me. Me me me me me me me me me me. Podcast listeners! We have a couple of episodes in the works that I wanted to tell you about. First, we’re going to look at Poetry and Empire – what happens when a republic falls and an empire rises? What do poets do? What should they do? And yes, we have to take a look at Donald Trump. Some things are unavoidable. Alas. If you have your own suggestions for the Greatest Literary Duos of all time, leave a comment or shoot me an email at jackewilsonauthor@gmail.com. As always, I love to hear from listeners with opinions. Epic News – A New Gilgamesh Fragment! These lines come from Chapter Five of the epic and cast the main characters in a new light. Gilgamesh and his companion Enkidu are shown to feel guilt over killing Humbaba, the guardian of the cedar forest, who is now seen as less a monster and more a king. Just like a good director’s cut, these extra scenes clear up some muddy character motivation, and add an environmental moral to the tale. Hmm. Hmm. I’m not trying to be a contrarian here, but I wonder if these lines will improve the story or not. I’m reminded of the notorious Han Shot First controversy. If you’re coming late to THAT party, the question is whether George Lucas improved Star Wars by clarifying that Han Solo acted in self-defense when he shot another patron in an early scene. The argument against the “clarification” is that in the original movie Han started the movie as a selfish outlaw, so the character’s arc (spoiler alert: he turns out to be a decent guy in the end) is more pronounced. For Gilgamesh, I could see a similar argument. Feel guilty about killing the monster? Guilt is fine, especially later – but maybe at this point in the narrative our epic hero needs to be a little more one-sidedly heroic and a little less conflicted? Would it set up the later inner conflicts better if he hadn’t known them before? You can find links to our episode on the Epic of Gilgamesh on this page. That’s episode one, actually – why not start the journey through the history of literature with us? You can catch up quickly, I’m sure. My thanks to EF for the tip! Hello, everyone! Today is a day for celebration. It’s rare for this crusty old salt to find a new author who can make him feel like he’s twenty again, with all the world of books still out there, waiting for him to discover the fresh and new and exciting. It used to happen every month, every week, every day. Now, how often? Once a year? Once every five years? Fear not for your old friend Jacke Wilson! Because it’s happened! Okay, so the amazing Italian novelist Elena Ferrante is not exactly new – I’ve had her books on my shelf for over a year. But I finally – FINALLY – had the chance to break my way into her stunning novel The Days of Abandonment. And now…I need to read them all. I’ve been told that the Neopolitan novels are the best of the bunch. I thought there were three in the series… it turns out there are four… plus there are others… oh, where does the pleasure end? Yes, I have History of Literature podcast episodes that could use a little promoting (recent eps on The Bhagavad Gita and a conversation with the great Ronica Dhar! Check them out, they’re all free and they’re all they’re just for you!) and a job to focus on and kids to raise and dishes to wash and trips to plan and shows to watch (I’m two episodes down in Better Call Saul which is some kind of crime against Zim Zam the Yo Yo Man if nothing else). But who cares? When an author is this good, everything else can wait. Well, not the kids. Or the job (Hi, Boss!). But everything else. So let’s grab a copy, sink back into the sofa, and let the rest of the world go on its merry way. We’ve got some reading to do! In this episode, Jacke welcomes special guest Ronica Dhar, who presents Five Books (or actually Four Books and a Movie) To Lower Your Blood Pressure. Highlights include a poem by Ronica’s former teacher and mentor, letters to a samurai written by a zen master who invented a type of pickle, and a fourteenth-century Kashmiri mystic who wrestled with God and her in-laws with a fierceness that would have made Beyoncé proud. 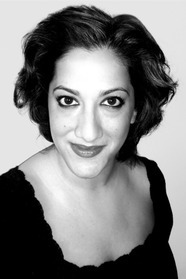 Ronica Dhar graduated from the University of Chicago and was a New York Foundation for the Arts Fellow in Fiction. She holds an MFA in Fiction from the University of Michigan where she received the Meijer award and the Hopwood award. Her first book, Bijou Roy, was called a “thoughtful, elegant novel” by the author Ann Patchett. After years spent living in Washington D.C. and New York City, Ronica recently returned to Detroit, the city of her childhood. This is awesome! Tomorrow on the History of Literature podcast we’ll be posting my conversation with Ronica Dhar, who selects Five Works to Lower Your Blood Pressure. In the meantime, you should all check out Ronica’s novel, Bijou Roy, a simply beautiful book. Bijou Roy’s life in Washington, D.C. is not thrilling but it is steady. When she loses her father to a long illness, she travels to India to scatter his remains in the river that runs through his native city. With the weight of her grief still fresh, she leaves a career and relationship in limbo only to be thrust into unfamiliar territory.Never having fully understood why her parents severed their ties to India, she is drawn to Naveen, the son of her father’s closest comrade. Naveen holds over Bijou intimate details of their fathers’ past and their political involvements. Quickly, she is embroiled in the mysteries of love, grief, and family histories, questioning what happens next when the customs of neither an original nor an adopted culture provide comfort.In her quest for answers, Bijou sees how each generation must wrestle—often at great risk—with the one who came before, and, perhaps above all, comes to learn how to replace sorrow with hope.